In this article we are going to implement a simple Twitter search app which will enable the user to search Twitter feeds for the keywords. We will be utilizing AFNetworking API, UITableView and the MBProgressHUD libraries in this article. In one of the previous article we used ASIHTTPRequest class to make an HTTP request. We can still use ASIHTTPRequest class to fetch the feeds but for the sake of simplicity we are going to use AFNetworking class created by the people behind Gowalla. Create a new Group in your iOS application and name is "AFNetworking". Place the files from the AFNetworking folder into the newly created "AFNetworking" folder. At this point we have retrieved all the tweets associated with the searched keyword. 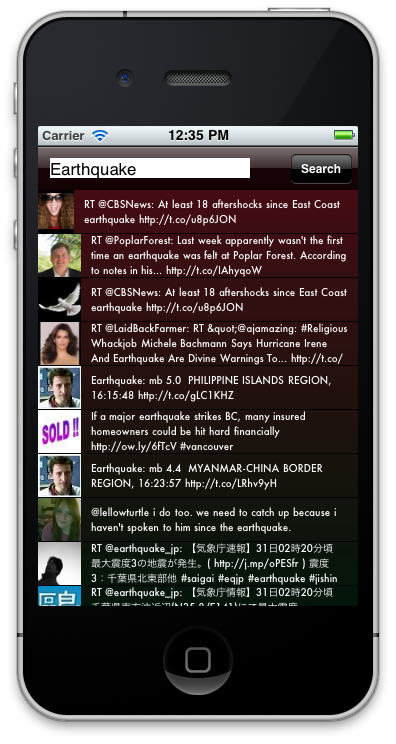 In the next section we are going to display the tweets in a UITableView control. NOTE: The Twitter API will only return the 15 most recents tweets. You can configure it to return more tweets but for this article we are going to stick with the default. Pretty simple! numberOfRowsInSection returns the total number of rows in the collection which in our case is the tweets array. The dequeueReusableCellWithIdentifier method is responsible for returning the same cell which has gone off screen. If you do not use dequeueReusableCellWithIdentifier and create a new UITableCell for each record associated with your collection then your app will lag in performance and eventually crash. 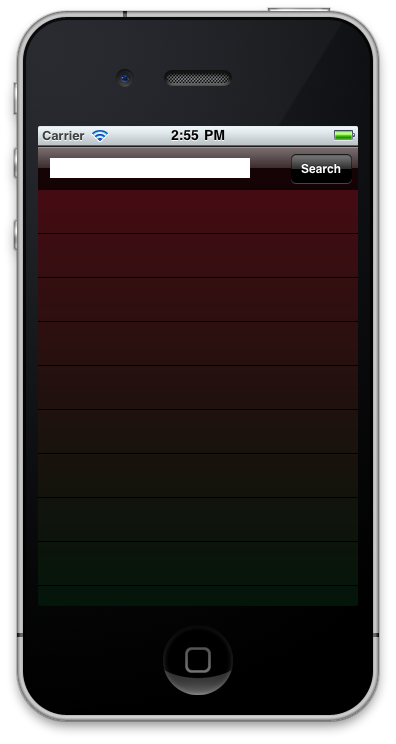 The uniqueIdentifier is used to get a particular type of cell from the queued cells which have gone off screen. Only the textLabel and the imageView is rendered each time because their value is based on the items in the collection. At this point you have a working application! But there is one problem, whenever the user searches for a keyword the screen pauses and takes some time to load the tweets. It will be a good idea to show some sort of indication to the user that the tweets are being fetched. In the next section we are going to utilize MBProgressHUD API to create a progress indicator while the user waits for the tweets to be displayed. The setImageWithURL method of the imageView is a new category method added by the SDWebImage API and this allows us to asynchronously download the images. Run the app again and you will notice that now the tweets are fetched much faster and then avatars appears as soon as they are downloaded. First download MBProgressHUD using this link. Create a new group in your application and name it "MBProgressHUD". Place the required files inside the new group. MBProgressHUD can be customized in different ways. For documentation please refer to the sample project which is included in the MBProgressHUD download. For our application the progress indicator should be displayed as soon as we click the search button and it should hide when the tweets are fetched successfully or when there is an error. New section added for loading the avatars asynchronously using the SDWebImage library. In this detailed article we implemented a simple twitter keyword search application. 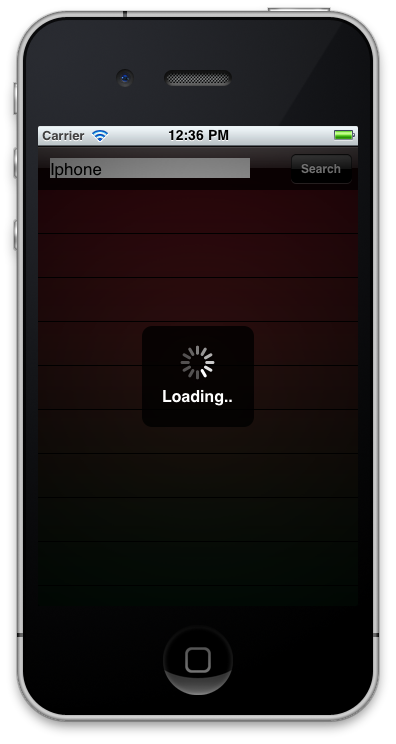 We learned about AFNetworking API, UITableView control and the MBProgressHUD progress indicator.